I’m absolutely thrilled to share a Q&A with Norwegian crime writer Vidar Sundstøl, whose forthcoming crime book THE DEVIL’S WEDDING RING was an instant hit for me. (If you missed my review, you can read that here!) THE DEVIL’S WEDDING RING is a seamless blend of modern investigation and ancient folklore - a combination that’s enticing in its originality and immersive in its authenticity. Sundstøl is a masterful writer, and I can highly recommend THE DEVIL’S WEDDING RING for Scandinavian crime fiction fans looking to embrace something a little bit different, and totally engrossing. 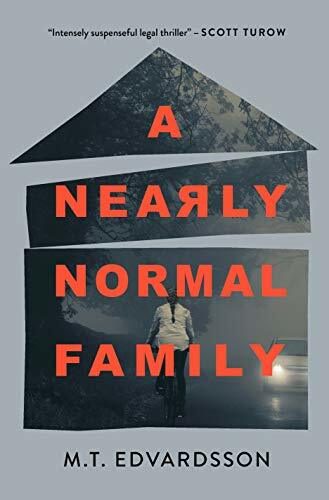 In this Q&A, Sundstøl covers everything from the inspiration for THE DEVIL’S WEDDING RING to his deep connection to his home, to the crime-solving librarian who plays a significant role in this outstanding crime read. 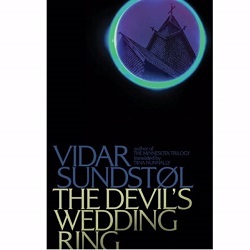 THE DEVIL’S WEDDING RING was my first Sundstøl read, but I’m sure it won’t be my last. Many thanks to Vidar Sundstøl for answering my questions so thoughtfully. Remember to read my review of THE DEVIL’S WEDDING RING here, and pre-order your copy so you can dig in as soon as it releases in September! Crime by the Book: Let’s start at the beginning: what inspired you to write THE DEVIL’S WEDDING RING? Vidar Sundstøl: The idea and inspiration came from two sources. One is the great folklore heritage of Telemark, the area where the book takes place and where I grew up and still live. Out of the vast reservoir of recorded Norwegian folklore – folk tales, myths, medieval ballads, children's rhymes, etc. - more than 50 % of these were collected here in Telemark, which is considered the heartland of folk tales and ancient superstitions. And of these, the stories and legends surrounding Eidsborg stave church are among the most prominent. The other source of inspiration is more personal and stems from my early childhood. I must have been five or six years old, and was riding in the back seat of our car, with my parents in front. I can’t remember where we were going, or why we drove past Eidsborg stave church - from where we lived the church is a long detour no matter where your’re headed. But there it was, this strange little building, with the color of an old pine tree, and almost as organic too, as if it had grown right out of the soil in that particular spot. And my father told this story about how people long ago used to carry an ancient wooden statue around the little lake next to the church, and how this was considered some sort of idolatry by the bishop in Oslo. As we drove by I pictured a procession of people by the lake carrying the statue, chanting old mysterious songs. And it must have made a huge impression on me, because I never forgot it. CBTB: My favorite piece of this story is its strong folklore element. I love how you’ve woven ancient legends into a modern investigation. Could you share a bit about this choice? What inspired you to incorporate these legends into your newest crime novel? VS: I guess there are several reasons. One would be my general interest in history and folklore, especially everything concerning death and various realms of death in the past - all the way back to pagan times. I used mythological material very actively also in The Minnesota Trilogy (The Land of Dreams, Only the Dead and The Ravens) which was published by Minnesota University Press. Basically you could say this is what the world looks like to me. CBTB: For readers unfamiliar with Norwegian folklore, are the legends surrounding the Eidsborg stave church accurately depicted in THE DEVIL’S WEDDING RING, or did you take some artistic license when writing about this folklore? VS: All the descriptions of the actual church and the legends surrounding it are very accurate. However I did make up the legend that gives the book its title, about how the Devil lost his wedding ring. CBTB: American readers might be inclined to think of Nordic Noir books as taking place in big cities: Oslo, Stockholm, and Copenhagen have all played roles in popular Scandinavian crime books. THE DEVIL’S WEDDING RING, on the other hand, takes place in the Telemark region of Norway, and this region’s landscape and history factor heavily in the mystery that develops throughout the book. I would love to hear a bit about your choice to set this story outside a big city. Why did this story belong in this particular part of the country? Why focus on this particular region? VS: Why this region? Because of its prominent role in Norwegian cultural history. Telemark has been considered something of a 'magical place' up through the years. In the 1800s artists flocked to the remote valleys here, to paint the landscapes, the people, and not least the evening light, which shrouds everything in a mist-like veil. As a Telemarking (someone who is a native of Telemark), this heritage is very dear to me. I've lived here most of my life (minus a few years in Minnesota) and would like to pay homage to it. Yet another aspect of this would be my general obsession (I actually think that's the word) with landscapes. Be that a big cityscape or ancient farmland - there are many and subtle bonds between people and their surroundings. And some of these bonds consist of stories. Myths. About what took place at that particular spot. Or who did what to whom by the riverbend long ago. I love these things! They make me feel like I belong, not just here in Telemark Norway, but in the world. CBTB: Along with its fantastic folklore element, your book also includes a brilliantly executed investigation. Once again, you’ve done something a bit different—rather than having police officers investigating a death, you have a private investigator and a librarian! I loved this duo - Max and Tirill are engaging, endearing characters. How did you come up with these two characters? Are they inspired by real people you know, or maybe even by pieces of your own personality? VS: I'm glad to hear that you like Max and Tirill! So do I. Initially my intention was to have only one protagonist, namely Max Fjellanger. Tirill was meant to be a minor character, but she entered the stage with such bravado that I soon realized that this girl would never settle for a small role in the drama. Max is quiet and minds his own business. Tirill I would say is the direct opposite: she sticks her nose into everything, and is certainly not the quiet type. Her hair looks "like a carefully crafted couiffure that had exploded", she talks a lot, and is far from being the perfect mother, although she does her best on her own with her five year old son. She's a single mum since the boy’s father left them. Which was just as well; the guy had 'Live free or die' tattooed on his upper arm - and now lives with his mother. Tirill is 80% made up. The last 20% are based on two or three girls that I've known who were a bit like her. A certain kind of crazy Telemark girl. CBTB: You have previously written a critically acclaimed crime fiction trilogy, The Minnesota Trilogy, which I haven’t read yet but absolutely intend to now! 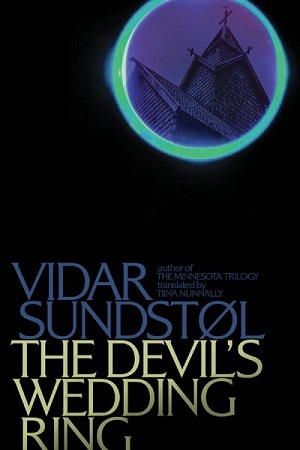 Are there similar themes or topics explored in the Minnesota Trilogy and in THE DEVIL’S WEDDING RING? Or are the books in the trilogy very different from your newest book? VS: The Minnesota trilogy and the Devil's Wedding Ring are not so distant cousins. The landscape plays a huge role in the Minnesota books as well. As does the local folklore, but here we're talking Native American myths and folk tales. I spent two years in Minnesota (my wife is American) and studied the tales and beliefs of the Ojibway people. CBTB: When you’re not writing crime books, do you also enjoy reading crime books? If so, what are some of your favorites? VS: Arnaldur Indridason is a particular favorite of mine. The way he has almost made the Icelandic landscapes the main character of his books are really interesting. VS: I'm afraid that has got to be a secret for now. But I hope you'll read it some day. I’ve been fortunate enough to make a few visits to Norway now, but I’ve yet to visit the beautiful region of the country in which THE DEVIL’S WEDDING RING takes place. Well, you can bet that an adventure in Telemark is now high on my list for my next trip to Norway! Sundstøl does a brilliant job bringing to life this gorgeous landscape in his writing, and I was delighted to see (thanks to Google!) that this part of the world is just as stunning as the pictures I had in my head while reading this book—if not even more beautiful. Central to THE DEVIL'S WEDDING RING is the Eidsborg stave church - a real building that's absolutely stunning. While reading about this church, I imagined an ancient building that's has a certain mythical feeling to it—granted, I haven't visited in person (yet! ), but these photos are exactly what I pictured it to be like. I'm adding a visit to the Eidsborg stave church to my bucket list, that's for sure—but in the meantime, Sundstøl's descriptions of the iconic building in THE DEVIL'S WEDDING RING absolutely do it justice. All images below via VisitNorway. It's safe to say I'll be planning a trip to this beautiful region of Norway just as soon as I can! As someone who's pretty much constantly in a state of wishing I could be traveling through Scandinavia, THE DEVIL'S WEDDING RING was a fascinating and welcome introduction to another part of Norway that I simply must visit. Author Sundstøl does a brilliant job conjuring up vivid images of this gorgeous landscape - yet another reason to add THE DEVIL'S WEDDING RING to your reading list.